Cult soap opera Dark Shadows is set to be resurrected into a feature film with Tim Burton directing and (guess who?) Johnny Depp starring as vampire Barnabas Collins. Both are confessed fans of the original daytime drama. 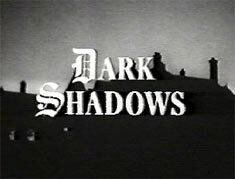 Dark Shadows was an oddball soap from the late 60's/early 70's that started off normally enough, but a few months into the show the spooky locales were dotted with vampires, warlocks, ghosts and zombies. It's not just the monsters that made the show stand out from other soaps of the day. Most daytime dramas have protracted plots that last years, but Dark Shadows told smaller concentrated stories in a similar format to today's telenovelas. They had whole continuities that transported the story through time, allowing cast members to portray their own ancestors. The unusual format kept the audience guessing since writers could kill off major characters since the actors could return as ghosts or other versions of themselves in other stories. I've seen several episodes of Dark Shadows. It's characterized by the typical limits of budget-conscious live-to-tape shooting. My Doctor Who training has taught me to ignore the odd wobbly wall, or flies buzzing around actor's faces... to say nothing of the occasional camera or microphone in the shot. Early seasons are black & white which aids the monster movie aesthetic, as does the atmospheric music and melodramatic acting. The show is a cult classic spawning a pair of 70's feature films, a mini-series revival in the 90's, along with modern releases of audio dramas and conventions. 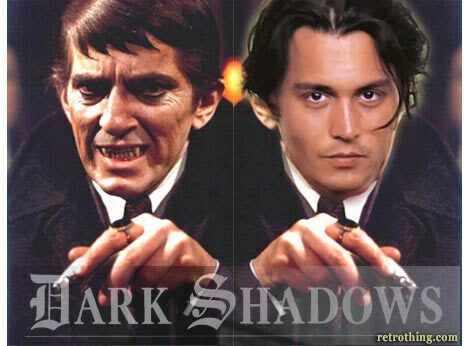 Since Burton and Depp are responsible for several cult classics of their own, let's hope that this new film project that continues the legend of Dark Shadows is in good hands.